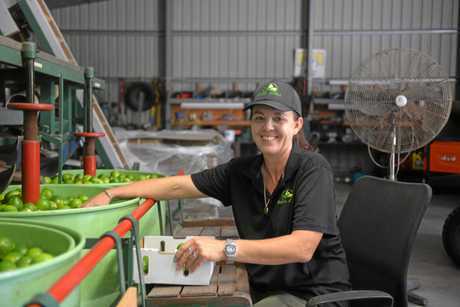 HAND picked, packed, delivered - while it sounds like the start of a Stevie Wonder song, it is in fact the process the fruit at Bundy Limes goes through before it's yours. 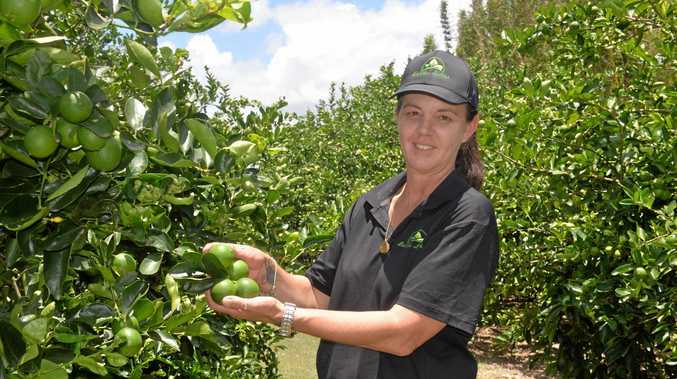 She may not be in the limelight, but Linda Vickers is living the lime life. 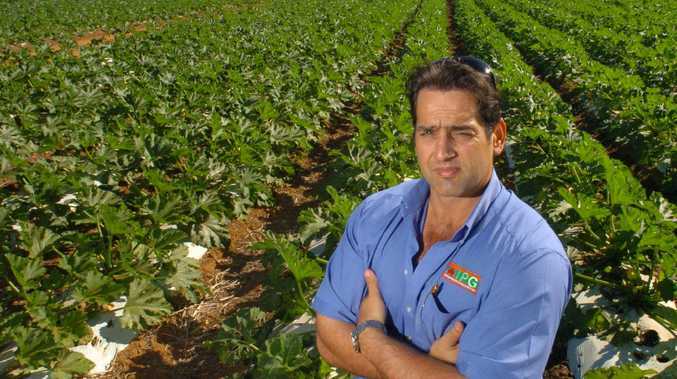 What started spotting a "for sale” sign on the way to the dump in 2012, is now a niche local produce business - Bundy Limes. Ms Vickers said having renovated their home on Fairymead Rd, they were looking for their next project and a lime farm fitted the bill. Despite not having experience on a farm beyond some of her childhood spent on one, Ms Vickers said she always had a vision of herself on a farm, and when the lime farm came up could see herself and four children picking limes of a weekend. "It's hard work...,” she said. She said when they bought the place, the trees were only small and the house only had two bedrooms and with four kids, some renovations were in order. At Bundy Limes there is 800 trees of Tahitian Limes, which are hand picked, packed and delivered by the family. Even the stickers are stuck on by hand. Ms Vickers said at the farm their limes are not waxed and typically picked when they are quite big in size, so they are juicy. Interestingly, she said when limes mature, they look like a lemon and the flavour is actually sweet. She said having started with the lime trees quite small, each year they are seeing good lime numbers as the trees mature. With lime trees maturing from about six years and the wind not knocking them about, Ms Vickers said this year they've "gone berserk”. For the locals buying produce from Bundy Limes, Ms Vickers said 99 per cent are picked the same day as delivered - they don't store the fruit. Now several years into the business, Ms Vickers said they've not only learnt how to grow limes, but also how to sell them. 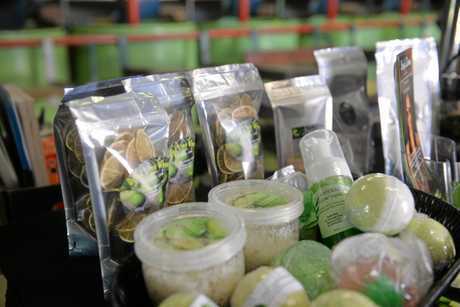 While they have boxes of limes available, she said they have diversified into value-added products as well; from salts, sugars, dried wheels, soaps and bath bombs. She said in dehydrating limes for the lime wheels it enhanced the flavour and not as much was needed. Ms Vickers said the local business was supported by the community and other Bundy businesses whom purchase boxes of limes and sell the value-added products. Bundy Limes are used by the Spotted Dog Tavern, The Club Hotel, Indulge, the RSL, Last Stop Convenience and Mr B Fresh. 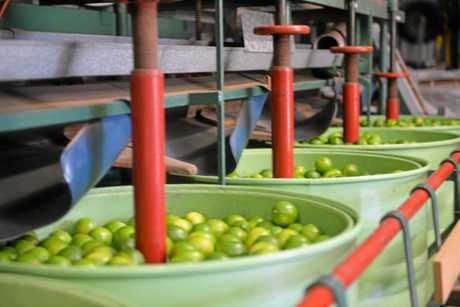 But if a closer look at how a lime farm functions is something that sparks your interest, Bundy Limes is part of the Bundy Food Tours' Wednesday Afternoon Taste of Bundaberg Experience. Ms Vickers said they've been part of the food tours pretty much since the beginning which gets a wide demographic of people, from old farmers to city people coming along. She said the limes can be bought from Nana's, Mr B Fresh and Last Stop, but said she is happy to deliver limes to those in Bundaberg. To find out more information about Bundy Limes and where to get their value-added products, visit their Facebook page www.facebook.com/ BundyLimes.